Thanks in large part to our phones, many of us don't get the recommended eight hours of sleep. 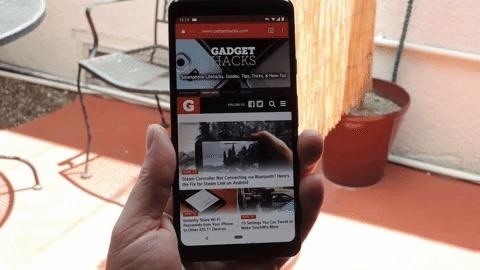 In Android Pie, Google introduced a feature called "Wind Down" that aims to help combat this. However, thanks to a creative app developer, we don't need to wait for Android 9.0 to enjoy this feature. Combined with another feature called "Shush," Wind Down is like Do Not Disturb 2.0. Shush handles notifications to stop visual distraction, but Wind Down offers the most innovative feature — it puts your screen in grayscale mode at bedtime. First popularized by tech ethicist Tristan Harris, the idea is that a display void of color is less stimulating and discourages continuous usage, especially at night. Thanks to Michael Schättgen, we no longer have to wait for Android Pie to enjoy this feature. With the app he developed, we can simulate the same effect and hopefully break out late night phone addiction. 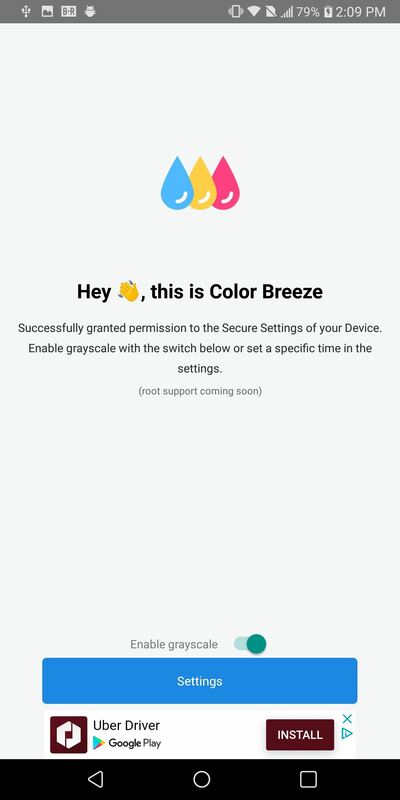 The app that provides us access to this feature is called Color Breeze, and you can install it for free from the Play Store. Use the link below to download the app onto your device. To activate automatic greyscale, you'll need to provide Color Breeze permission to modify system settings. To accomplish this, you'll need to use ADB commands. If you don't know how to install ADB on your computer, use the link below. With ADB installed on your computer, you'll need to activate Developer Options on your phone, then make sure the USB Debugging setting is enabled. From there, connect your phone to your computer with a USB cable. There won't be a "success" message or anything, but if everything worked correctly, you'll know when you check the app next. So now, head back to your phone and open the Color Breeze app. On the main page, tap the "Check Permission Status" button — if everything worked with ADB, you should be taken to the app's settings menu now. By default, Wind Down is activated. You can adjust when the grayscale mode turns on using the "Bedtime" and "Wake up time" options on the main menu. 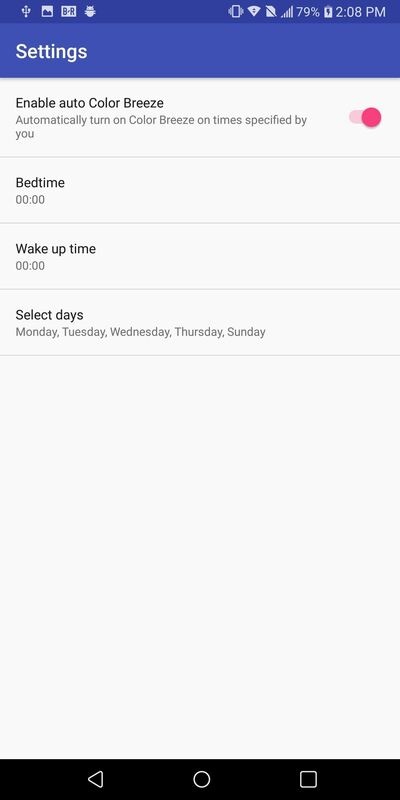 You can even tap "Select days" to choose which days of the week it will be active. Once you set the parameters, the phone will turn on greyscale and discourage usage when you reach your scheduled bedtime. In our testing, we found some phones turn on greyscale precisely at your bedtime, while others took a minute or two. Same goes for your wake up time, so if it doesn't turn on (or off) right away, give it some time. Hopefully, Color Breeze can pull you away from your phone at night. Instead of watching one more video or enjoying a few more minutes on your favorite social media platform, perhaps the lack of colors will help you put your phone down for the night and get some well-needed rest.